Let us help you design a custom framed piece that will grace the walls of your home for decades. We provide the samples, advice, and guidance to help you create a stunning finished work of art that is ready to hang and adore. Perfect for any room and ready to hang, your image is printed on canvas and hand-stretched around a solid wood frame to create a dynamic piece of art for the home. Truly a conversation piece, your image is printed on 100% recyclable aluminum using heat and pressure to permanently fuse the ink into metal. Ultra lightweight, waterproof and extremely durable, these prints come with a floater piece attached for the easiest wall mounting ever. After your portrait session, about two weeks later you review the proofs and place your order. We help you select which photos will look best on your walls. We’re here to give advice and feedback on your ideas so you get the perfect portraits for your home. Thanks to technology, we are able to show you how your favorite portraits will look on your very own walls. Different sizes, different shapes, and different photos - decorating has never been so fun! No wall space? No problem. Flush-mount albums are a fantastic way to showcase all your session's photographs. Beautifully bound in charcoal leather, these thick luster-print pages feature your loved ones' portraits to enjoy forever. Prefer to purchase just the jpeg files? Pictured here is our custom crystal USB with your dog's name engraved with a paw print. Please contact for collection pricing. "I just want to thank you for the wonderful pictures we have of Emma. I keep looking at them over and over again and I am so grateful for your talent and the patience you had with our pups to get amazing photos. You truly made a huge impact on our lives and I will forever be thankful for those memories." --Julie S.
“We absolutely loved our experience. You were so patient and kind with Crown and Meatball. With Crown not liking strangers and Meatball not liking other dogs, it can be difficult to find somewhere to take photos. You chose the perfect spot and captured wonderful photos. One of my favorite photos is the one with just Crown and I. When we were planning the session, I told you I would like a photo of just Crown and I as she holds such a special place in my heart. You captured such a special moment between the two of us that I will cherish for many years to come. Thank you so much Lisa! !“ —Tricia E.
"Lisa captured what we see in our sweet senior pup. The way he looks up at me so lovingly and the way he stands proud and strong. Not everyone sees this in our little guy, but Lisa got it. She was very patient. This was our early Christmas present to ourselves, well worth it. We love the 20 × 30 metal print. 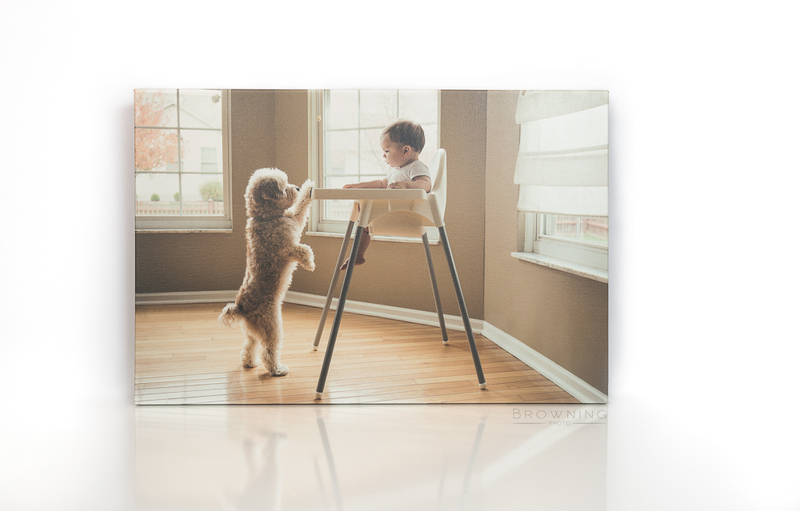 No wonder Lisa Browning has been voted the #1 best pet photographer in Columbus." -- Victoria C.
"Lisa from Browning Photo is a fantastic photographer! Words cannot describe the beauty of her photos and her professionalism while working. She is also wonderfully patient and made me feel so comfortable! Her photos are true family treasures that we will cherish for many years to come." --Nicole B. READY TO PLAN YOUR SESSION? LET'S TALK!